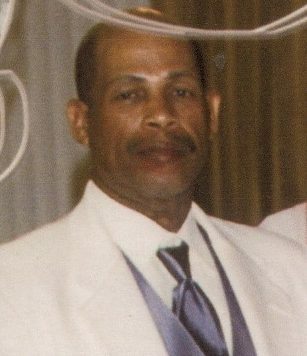 Robert Earl Ely, Sr., was born June 24, 1951 in Mariana, FL to James W. Ely and Ruth Naomi Ely (preceded in death). He was the oldest of six children. He was educated in Seminole County School System and graduated from Crooms High School, class of ’69’, where he was a star football player. He was a phenomenal baseball player (pitcher & homerun hitter) in Jamestown and on Boston Hill. He was well known as “Big Red” and “BOB.” He retired March 2018 from Sonoco Products and was enjoying life. He leaves to cherish his precious memories: a loving & devoted wife, Mrs. Mattie Ely, Oviedo; Four daughters, Teresa Ely, Nikimtrist Ely, Oviedo, Chassittee Ely, Atlanta, GA, and Jasmine Ely (preceded in death); One son, Robert Ely, Jr. (Ramona), Orlando; Three brothers, Leon Ely (Gloria), Daryl Ely, Oviedo; Marvin Ely (preceded in death); Two sisters, Valerie Jenkins (Leon), Oviedo; Veronica Times (Kenneth), Casselberry; One aunt, Myrtle Keys, Marianna; Grandchildren; Kay, Elliott, Andrea, Neyasha, Myesha, DeAndre, Alexandra, Joseph, Altianna & DJ. Six great-grands; Sisters-in-law; Bernice Norton, Oviedo; Jeanette Mitchell (Charles), Altamonte Springs; Lois Harris, Winter Park, Mozell Gammons (Lawrence), Oviedo; Mattie Bell (O.C. – preceded in death) and a host of nieces, nephews, cousins and good friends. On behalf of the Health Ministry of Macedonia Missionary Baptist Church we extend our sincerest condolences to the family and offer our prayers of comfort and strength.